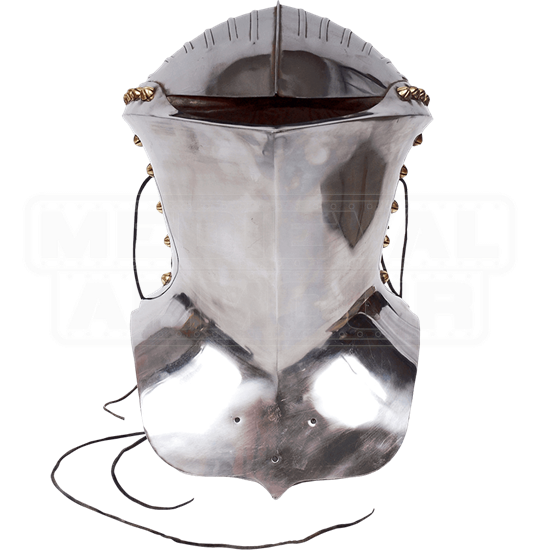 In ancient Germany, armour used for jousting became more and more protective, resulting in the sleek, peculiar shape of the Stechhelm. This curious piece of armour has been stunningly recreated by the Frog Mouth Jousting Helm. This helmet, made from 14-gauge steel, is an exact replica of the Stechhelm found in Nuremberg, Germany, which is now on display at the Metropolitan Museum. Its face-guard stretches from the base of the neck to the brow, leaving a small gap for the eyes that resembles a frogs open mouth. Its sides feature lovely brass riveting, and its back is adorned with leather straps and strings, only adding to the unique look of this helmet. 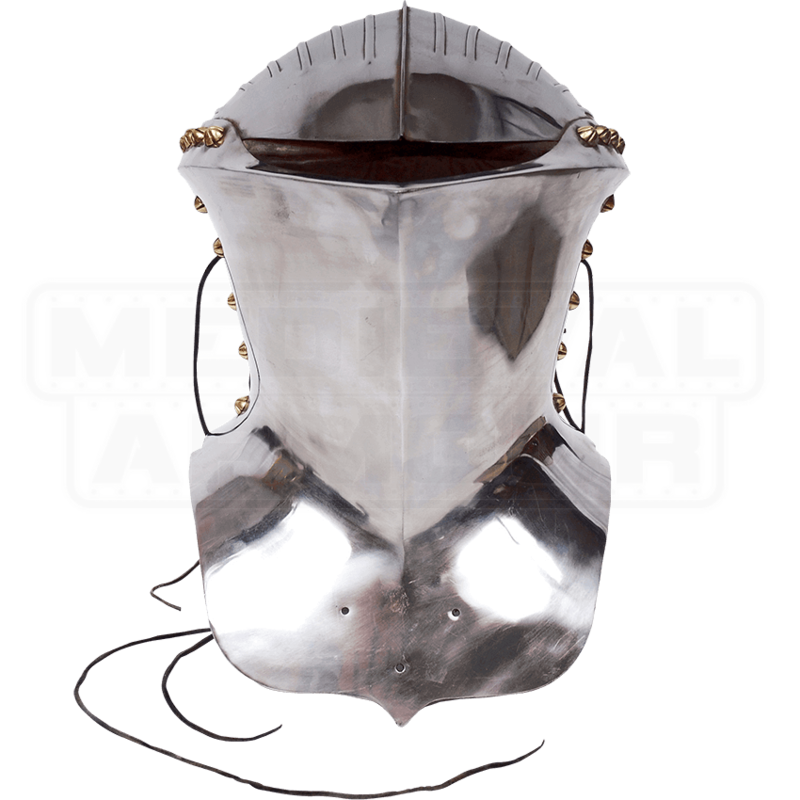 If you are a collector of historical replicas, or if you are looking to complete your suit of armour with an elegant but functional helmet, look no further than the Frog Mouth Jousting Helm.